The Golf Business editor Alistair Dunsmuir finds that even this publication is no longer a Brexit-free safe space – and details why bifurcation is a word on some golf administrators’ lips. The worry – in this case enveloping Irish clubs – is more than just a no-deal Brexit. An Irish newspaper has asked a number of golf clubs what their biggest fears for 2019 are and, ahead of clubs losing members, the weather, rising costs and so on, in first place, is Brexit. In fact nearly two in five clubs cited it as a concern. “We are all anxious to see what Brexit brings,” said one director of golf at a top Northern Irish club. Literally it means the division of something into two parts but its growth in golf quarters has been driven by the new Rules of Golf, which seem to have been generally well received. However, many, including Europe’s 2014 Ryder Cup captain, Paul McGinley, think they should go further to encourage more people to play the game and that means two sets of rules – one for professional golfers and one for amateurs. “Maybe the time has come for the rule-makers to at least investigate some limited bifurcation,” he said as he called for fewer restrictions on technology for amateurs. 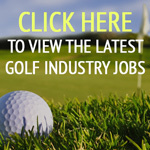 A number of clubs have invested in revenue streams in addition to golf, such as food and beverage and lodges, in order to grow, and many have reported that this has been a success. But not all. Moor Park in Hertfordshire has said it will ‘revert to its roots’ after investment in weddings and conferences ‘resulted in a non-defined role for members and the club’s position in the golf industry’. “The board and I believe that the club needs to redefine its direction and turn the focus back to the people that count most – its membership,”said chief executive Amy Yeates. The club is now proposing new funding for its golf courses, increased levels of greenkeeping staff and investment in course machinery. “With this is mind, we have created a new vision to take Moor Park back to being a private members’ golf club in the sense and tradition of a golfing experience. By positioning Moor Park as a premium golf club with facilities and courses to match, we believe that we can secure a lasting legacy that will reinstate us one of the England’s top private members’ clubs,” she added.